Covers Northland, Auckland, Coromandel, Tongariro, Urewera, Central North Island, Taranaki, Whanganui, Around Wellington, Queen Charlotte, Marlborough, Abel Tasman, Kahurangi, Nelson Lakes, Canterbury, Arthur’s Pass, Aoraki/Mt Cook, West Coast, Mt Aspiring National Park, Around Queenstown, Fiordland, Stewart Island/Rakiura. 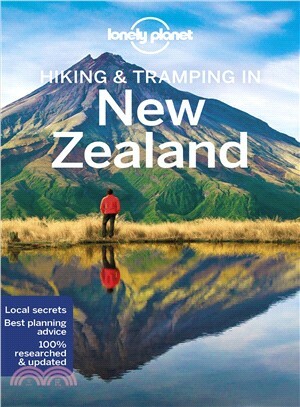 The Perfect Choice: Lonely Planet’s Hiking & Tramping in New Zealand is our most comprehensive guide to hiking in New Zealand, and is perfect for those planning to explore the country on foot. Looking for more information on New Zealand? Check out Lonely Planet’s New Zealand guide for a comprehensive look at what the country has to offer.